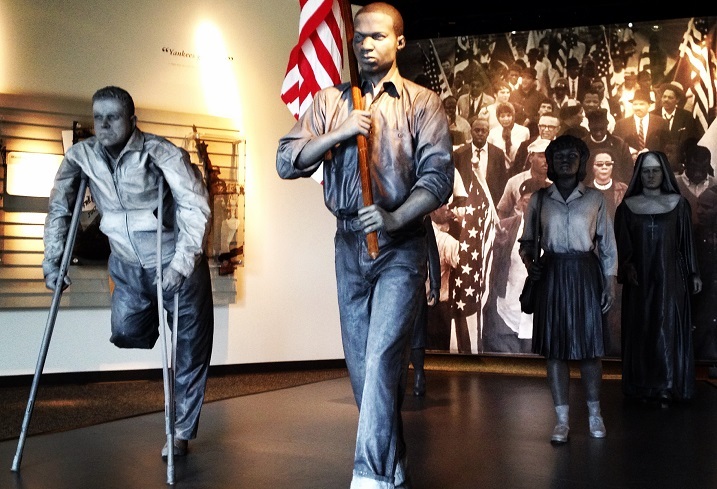 Iconic scene from Selma-to-Montgomery Civil Rights March recreated at Lowndes Interpretive Center in Alabama. they were never presented in the light? and fight for what you deemed important and right. bestow onto others but kept hidden? and the people of my race? lesser than what you perceive them to be. with ignorance and bullets to the brain. and the land to which they lay their claims. and this is why we are the ones that you so prudently fear. for a future they wish to be near. they still feel in the after. just as you would in the light? Born and raised in Windhoek, Namibia, Nikolai Tjongarero is a contributor to The Ground's Ear Contemporary Verse from Southern Africa poetry anthology. Nikolai's poems, social commentary and ruminations can be found online at #GetFamiliar where Baraka Bashad first appeared in a slightly different format. Loosely translated into English, baraka bashad means, "may the blessings be." In Sufi it is comparable to saying, "and peace be with you." We thank Nikolai for his continuing support of the Bar None Group. Baraka Bashad is Nikolai's ninth contribution to our online anthology since 2011.